He had been here before. The pain and depression of losing loved ones. The first time was when he lost his parents. They had died in a horrific car crash. He was barely a teenager then. It all seemed so distant now. And then he had lost his fiancée, Chloe Moss. She had dumped him beforehand, but the pain was still immense. He had been told she had crashed in an F-16, but the lack of wreckage and debris caused him to seek answers, eventually leading to the discovery that she had defected to an abandoned airfield in Cuba. She had died in a hospital after the recovery efforts, but the pain remained. It was as if a small piece of him had gone missing. His friends had gotten him through it. Friends like Joe Carpenter and Marcus Anderson, who had been killed by an assassin in South Florida. Carpenter’s death had sent him into a deep depression. He had survivor’s guilt. 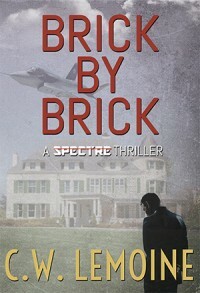 The bomb that had killed Carpenter had been meant for Spectre, he was sure of it. It was a funny thing – depression. Every major setback seemed to carry with it lower lows and an easier return to the depths of despair pushing him toward the edge. Carpenter’s death had done that for him. He had given up, allowing a Cuban thug to capture and torture him without a fight as he tried to drown his sorrows with a bottle of whiskey. He had gotten through those events, seemingly stronger for it as he climbed out of the valleys and tried to move on. He kept moving forward. He had to, because he still had someone in his life that made him want to live. He had finally found hope in love. But as Cal “Spectre” Martin lay curled in the corner of the bunk in his prison cell, he realized that the hope was gone. He had reached the deepest valley from which there would be no escape. He had blitzed right through rock bottom and had found himself in a death spiral. The crumpled newspaper next to him said it all. The headline told of a billionaire’s jet crashing off the Atlantic coast, and that search and rescue efforts were underway. Debris had been located, but due to harsh conditions caused by a tropical storm, rescuers were unable to reach the crash site. The article held out a sliver of hope that the people aboard that fateful flight could be found at sea. But Spectre could read between the lines. He had been in the aviation business long enough to know what that meant. There were no beacons, no mayday calls, and the jet in question had no ejection seats. If a debris field were found, it meant that the plane impacted the water in an attitude that just wasn’t survivable. Everyone on that plane was dead. Spectre was sure of it. Spectre had recognized three of the four names that the newspaper had given. He had worked with Darlene “Jenny” Craig as a fellow pilot with the top-secret special operations group known as Project Archangel. She had a thing for fast Corvettes and Spectre knew she was a great pilot from the many missions he had flown with her. If the plane crashed with Jenny at the controls, Spectre knew she had exhausted every effort to save the aircraft. Freddie “Kruger” Mack was the second name on the list. Spectre had both respected and feared the bearded ginger. A former elite operator with the famed “Delta” force, Kruger had been an interrogator, sniper, and de facto second-in-command with Project Archangel. He had helped Spectre take down a Chinese intelligence operation in the Gulf of Mexico, and more recently, Spectre had watched Kruger save his new fiancée’s life. He was a ghost, and Spectre knew that if he were listed on the manifest, all hope that the crash was an act of deception was lost. It simply wasn’t possible to fabricate Kruger’s name like that. And then there was the last name on the list. Michelle Decker. She had become the love of his life, pulling him out of the valley of depression and giving him a reason to live again. She was the most beautiful, intelligent, loyal, and courageous person Spectre had ever met. She made him want to be a better man. She was his hope. Spectre felt numb. He had loved Chloe, but it was nothing like what he felt for Decker. They were the perfect team, and they had been through so much together. The note wrapped in the newspaper had said it all. YOU WERE WARNED. God. If only we had just run away together and never looked back. As the public address system directed the inmates to prepare for their time in the yard, Spectre rolled off the bottom bunk and slid into his slippers. His cellmate said something, but Spectre didn’t register any of it. He felt like he was underwater, like he was drowning in some sort of lucid dream. He shuffled out into the blinding sun like a zombie with his shoulders slumped and his head held low. Spectre knew he’d never get out of the prison alive, and he didn’t care. He could feel the dozen or so inmates staring at him as he walked across the basketball court toward the bleachers. He thought of spending the rest of his days knowing he would never see Decker again and hoped that one of them would end it for him soon. Spectre sat down on the bleachers next to his cellmate. A day earlier, he had been alert, watching hands, looking for weapons, reading body language, and gauging general intent in an attempt to survive. Now he found himself staring at the dirt, hearing and seeing nothing as he tuned out the world. Four inmates approached surrounding Spectre and his cellmate. They exchanged words with his cellmate. Spectre looked up to see one of them holding a switchblade knife. He stood. Staring straight through the man threatening him, Spectre held his arms out wide with his palms up. “Do it,” he said as he closed his eyes. He had found his release from the pain. Living with the knowledge that Decker was gone forever was just too much to bear. Spectre wasn’t a very religious man, but he said a silent prayer, asking to be reunited with her soon. Maybe they would get a second chance in a different life. This one had been less than kind to them. He heard words and then a scuffle followed by a loud scream. Before he could open his eyes, he felt the tip of the blade as it entered his abdomen. As the blade sliced into his gut, Spectre fell to his knees. The pain was immense, yet muted by his desire to die. He felt the blade withdraw momentarily and then it pierced his chest. He fell forward and his face crashed into the dirt. Spectre opened his eyes briefly and turned his head, seeing what appeared to be a dozen feet shuffling in the dust. He gasped for air as his vision blurred. He felt someone grab his shoulders and flip him onto his back as he drifted away into darkness. He had finally found peace. Freddie “Kruger” Mack pulled down the quad-tube Panoramic Night Vision Goggles (PNVG) over his eyes and then tapped the shoulder of the breacher in front of him. Axe nodded and readied a pair of bolt cutters, waiting for the green light from Guardian 21 over the radio. As they waited, Kruger stretched his trigger finger against the lower receiver of his suppressed H&K 416 chambered in 5.56 NATO and took a deep breath. “All players, Leroy Jenkins,” Guardian 21 said over the radio, giving the code for the mission to begin. The dimly lit compound instantly went dark as the power grid was taken off line, leaving only the quarter moon to illuminate the way forward. Axe sheared the chain and ripped the wooden gate open. Kruger shot through the opening with his rifle up and ready, button hooking to his left as his teammates, Cuda and Beast, followed on his heels. Cuda cleared right as Beast shot straight ahead through the gate. Axe followed, covering their six as the team entered the rear courtyard of the Islamic State training compound. “Tango down front entrance,” Kruger heard Tuna softly announce over the radio. It was the same voice that had given the green light seconds earlier. Kruger’s teammates, Tuna and Rage, were perched on the roof of an abandoned house at the edge of the nearby village, providing overwatch with their suppressed sniper rifles. The rear courtyard of the compound was empty except for various cardboard shooting targets and training obstacles. The team cleared the area without resistance, and they regrouped at the rear door of the mission’s objective, a multi-level building near the center of the terrorist camp. As before, the team stacked up, tapping forward in the line to indicate they were ready to move. Axe checked the door, quietly verifying that it was unlocked. “Front courtyard is clear,” Tuna announced over the tactical frequency. Axe pulled the door open and Kruger bolted in. Cuda and Beast stepped into the narrow hallway. As before, Axe raised his rifle and entered behind them. The team moved quickly down the hallway toward the front of the three-story building. As they approached the door, Beast and Axe peeled off and entered while Kruger and Cuda continued forward and covered the front and rear of the hallway. Kruger could hear the muffled pops of suppressed gunfire as Beast and Axe dispatched the ISIL fighters in the room. Flipping up his PNVGs, Kruger quickly checked the faces of the dead fighters against the picture he had of the man they were looking for. Satisfied they hadn’t found him, Kruger gave a thumbs down to Cuda and flipped his PNVGs back down over his face. With the room clear, Kruger and Cuda reentered the hallway where Beast and Axe were still covering. The team reformed and headed up the nearby stairway toward the second floor. They moved quickly and quietly up the dark stairway, sweeping for threats as they entered the second floor hallway. They cleared the second floor as they did the first, splitting off into two-man teams to clear each room and take out the sleeping fighters. Kruger grew increasingly frustrated as they continued to have no luck in finding the man they were looking for. Kruger led the way up the next flight of stairs toward the third floor. He slowed as he neared the top, seeing a man exit into the hallway while shining a flashlight toward the nearby rooms. Kruger lowered his rifle and swung it around on its single point sling against his body armor before unsheathing his double-edge HRT tactical knife from his vest. As the others covered the hallway, Kruger silently approached the man from behind. As he came to within a few feet, he surged, covering the man’s mouth with his left hand as he jabbed the knife into the man’s throat with his right. He twisted the knife and pulled it away, slicing the man’s jugular as he struggled against Kruger’s grip. As the man’s body fell limp, Kruger dragged it out of the way and briefly raised his goggles to check the man’s identity. Still not him. The team searched two more rooms with similar results. Kruger followed Axe to the last door in the narrow hallway. Axe kicked the door open with the heel of his boot and carried his momentum into the room. “Clear,” Axe said, ignoring Kruger as he stuck to protocol in clearing the room. Kruger flipped up his goggles and pulled out a flashlight, shining it around the room. They had found a gold mine of intelligence in the form of hard drives and files that would eventually be useful, but the man responsible for the brutal public execution of four American aid workers captured in Baghdad was gone. “Tuna, SITREP,” Kruger said over the secure radio. “Copy,” Cuda said as he raised his weapon and continued down the hall with Beast. “I can’t believe this fucker got away from us,” Kruger said, shaking his head in disgust as he ripped a hard drive from the nearby desktop and stuffed it in his bag. Axe froze as he reached a table in the corner of the room. Shining his light on the desk, he found several booklets and maps. “Uhh, Kruger, you might want to look at this,” he said as he thumbed through the documents. “My Russian isn’t so good, but I’m pretty sure this is a picture of an SA-24 MANPAD,” Axe said, shining his light on the picture of a man holding a man portable surface to air missile launcher. Kruger held up a map. It showed the U.S.-Mexico border and had Ciudad Juárez in the Mexican state of Chihuahua circled with a red marker. There were three arrows showing routes across the border into Acala, Texas; Santa Teresa, New Mexico; and Fort Hancock, Texas. “Do you think they’re trying to smuggle these into the U.S.?” Axe asked as he studied the map. Kruger stuffed the manuals and maps into his backpack and zipped it as he flipped his goggles back down. “All players, Millertime,” he directed over the tactical frequency.